Saturday, July 21, 2018 - 11 a.m. 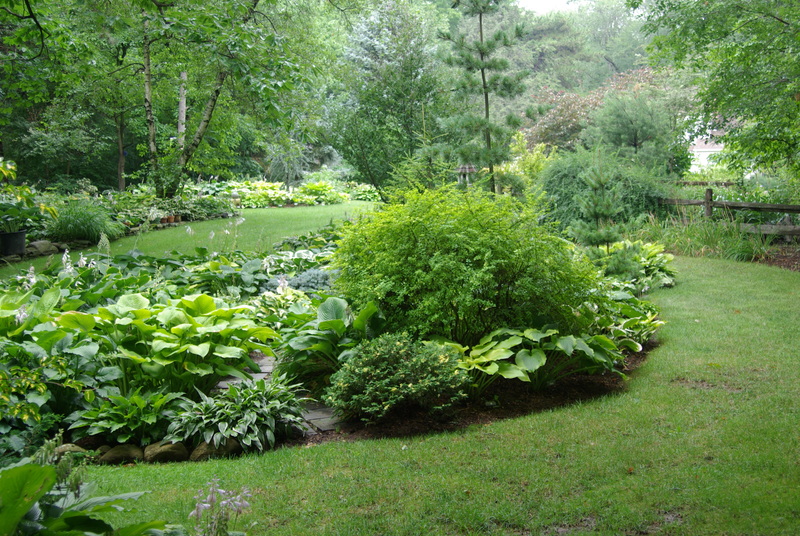 It has been a long time since the Chopkos have officially hosted a Tri-State garden tour so now is your chance to see where Dave puts all of those hostas that he has been collecting for years. The multiple Nor’easters of 2018 have taken their toll on several of the trees shading this slightly less than one-acre property, but with hostas numbering in the thousands there will still be enough specimens to be seen and admired in multiple beds throughout the garden. 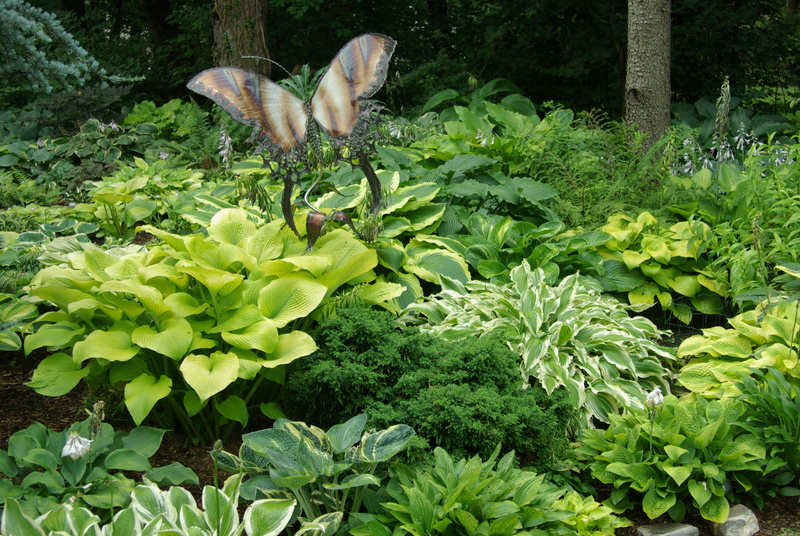 Though recognized as an outstanding “hosta garden” there are many other shade perennialsto complement the hostas. Most notably, Dave has branched out into polygonatums and disporums, while Roberta has a special fondness for ferns and rohdeas. So stroll here at your leisure, taking it all in, from the plantings around the house, down to the beds along the brook at the back of the property. Bring your appetite, a side dish, a salad, or a dessert to share, a chair and some plants for the auction. Tri-State will provide the meats, the paper goods, and the beverages as usual. From Route 9: From points south: Take I- 287 North to Exit 43 "INTERVALE ROAD". Go left off the exit approximately 9/10s of a mile. #93 is on the left. From the North: Take 287 South to Exit 42 (Dover/Clifton). Go right at the light (Route 202 North) and drive 1.2 miles and make a left at the next light (Intervale Road). #93 Intervale is 8/10s of a mile on the left. PARKING MAY BE DIFFICULT. PLEASE CARPOOL WHEREVER POSSIBLE AND PARK ON THE HOUSE SIDE OF THE ROAD ONLY, OR AROUND ADJACENT CORNERS. INTERVALE RD PERMITS PARKING ONLY ON ONE SIDE OF THE ROAD!!! !